Protect your freedom and livelihood with an aggressive DUI lawyer. Get your DUI charge dismissed or reduced to a lesser offense. How I Can Help With Your DUI? Hi, my name is Schöen Parnell (pronounced “Shane”), and I’m here to help. I understand how a DUI conviction can negatively affect your livelihood and future opportunities. My goal is to keep your criminal record free of any smears. DUI’s are complex and the consequences can vary depending on a wide range of circumstances. I’ve battled just about every type of DUI scenario you can imagine. Over the last 17 years I’ve defended people facing all levels of drunk driving charges. Many law firms will advertise their most experienced DUI attorneys, however after you pay the retainer who knows who will represent you. When you hire me to defend your case I will be the person who answers the phone when you call. I give all my clients my cell phone number so they can discuss their case anytime of the day or night. I know the cost of hiring a private DUI lawyer is intimidating. I offer affordable retainer fees and flexible payment options so lack of funds do not prevent you from getting the legal defense you deserve. What Kind Of Drunk Driving Offense Do You Have? DUI: The defenses available to you in a DUI/DWI case will be very fact-specific to your situation. They may include challenging the legality of the stop and subsequent arrest, or finding fault with the way the officer conducted the field sobriety tests and the breath/blood test. Also, video footage from the police station or the patrol car camera may contradict the police report. Felony DUI: The Washington State Legislature created this crime in 2007. A fifth DUI in 10 years is now a felony. I was hired to represent one of the first persons charged in Washington with this new crime and was the first DUI defense lawyer to take one to trial in King County. Another King County defense lawyer referred this felony DUI defendant to me. Military Base DUI: If you are arrested for drunk driving on a U.S. military base, you will face a federal DUI/DWI charge. Many drunk driving defense lawyers have never handled a federal DUI. You can be confidant that I have and know how to deal with your federal prosecutor. Under 21 DUI: It is illegal for drivers under the age of 21 to be in physical control of a vehicle with an alcohol concentration of .02 or higher. A 12-ounce can of beer puts most people at a .02 alcohol concentration — which is close to zero tolerance for drivers under 21. BUI: Boating under the influence (BUI) is a misdemeanor in Washington. If you have been charged with BUI, I will apply the same experience and knowledge as I do in DUI defense cases, working toward the best possible results in your case. Vehicular Homicide & Manslaughter: Many attorneys overlook the crucial defenses made available when a breath or blood test has been taken in a vehicular assault or vehicular homicide case. A well-trained DUI defense attorney knows what issues to look for and how they might affect your case. 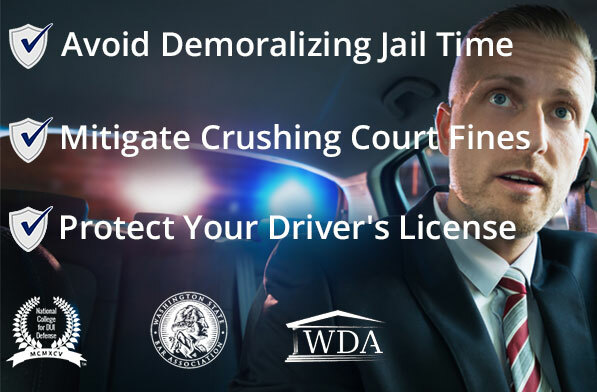 Washington DOL Hearings: I have been a guest speaker at DUI seminars and have taught attorneys how to conduct these Department of Licensing administrative hearings. I have won many of these “unwinnable” hearings, saving my clients their licenses and three years of increased insurance rates. Commercial Drivers License (CDL) Disqualification: Does your job require you to have a commercial driver’s license (CDL)? A DUI conviction will result in the disqualification of your CDL even if you were not driving a work vehicle at the time of your arrest. I have been successful in helping people protect their CDL privileges after being charged with a DUI. Why consult a DUI Lawyer? Why Consult a DUI Attorney? : A good DUI defense is more complex than most felony charges. There are many technical defenses available in DUI cases that a general criminal lawyer may not be aware of. That’s why you need an experienced DUI defense lawyer to defend you. 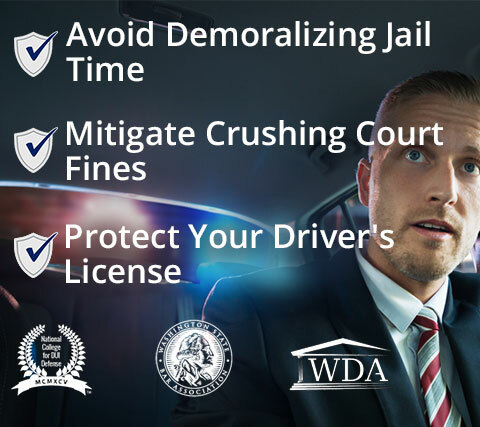 WA’s DUI Process : Upon your arrest for DUI in Washington, two actions are brought against you: an administrative action brought by the Department of Licensing (DOL) seeking to take away your driving privileges and a criminal action brought by the state, city, or federal government. DUI Penalties: Washington’s DUI penalties are among the strictest in the nation. A DUI lawyer can help you understand exactly what you are facing. Field Sobriety & Breath Test Defenses: I have undergone extensive training in the Standardized Field Sobriety Tests, and am certified as an SFST instructor. This training qualifies me to train police officers in how to conduct these roadside tests. Quite often an officer does not conduct these tests properly. Their training manual states that if they deviate from the standardized way of conducting the tests, that their findings are compromised. Furthermore, recent problems in the Washington State Toxicology Laboratory have led to the suppression of hundreds of breath tests around the state. Your case may benefit from these recent rulings.